Find here a list of selected books on on the translations of various upanishads, wisdom of the Upanishads and vedanta philosophy. 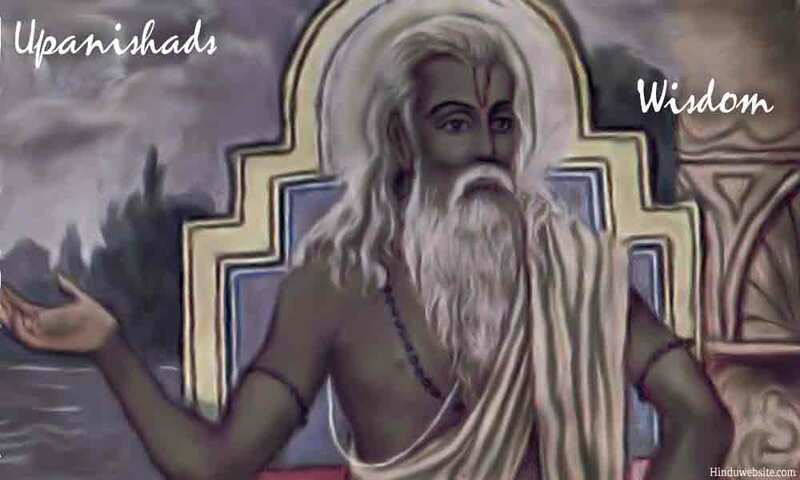 Selected Upanishads: Selected Upanishads contains the most recent translations of 14 principal Upanishads, namely, Aitareya, Kausitaki, Kena, Taittariya, Isavasya, Katha, Mundaka, Mandukya, Prasna, Svetasvatara, Paingala, Kaivalya, Vajrasucika, and Jabala Upanishads, with explanatory notes and a fresh look at the knowledge and wisdom of the ancient Upanishads. All are edited and translated by Jayaram V, the founder President of Hinduwebsite.com and an author of 12 books which include the Awakened Life, Brahman, Introduction to Hinduism, The Complete Translation of the Bhagavadgita with commentary, Essays on the Bhagavadgita, and Think Success. This edition forms part of the translation of the 16 major Upanishads, including Chandogya and Brihadaranyaka Upanishads (published separately) by the same author. It includes introduction, original Sanskrit verses in transliterated Devanagary script, translation of each verse, explanatory notes, and bibliography. Brihadaranyaka Upanishad: Brihadaranyaka Upanishad means the Secret Teachings of the Great Forest Book. It is one of the largest and the oldest Upanishads, with three divisions, 6 chapters, 47 sections and 427 verses, larger than the Bhagavadgita, with long passages, esoteric symbolism, and backed by a long lineage of ancient teachers. In the last few thousand years only a handful of people translated this Upanishad entirely. This is probably the most recent translation of the Upanishad in this century. This new translation brings out the mystic symbolism and the hidden significance of the Brihadaranyaka Upanishad, and provides insight into the very fundamental concepts that are now an integral part of Hinduism and the Vedanta Philosophy. This edition includes introduction, original Sanskrit verses in transliterated Devanagari script, translation of each verse, explanatory notes, and bibliography. This edition forms part of the translation of the 16 major Upanishads by Jayaram V.
Chandogya Upanishad: The Chandogya Upanishad forms part of the Chandogya Brahmana of Samaveda. Out of the ten chapters of the Brahmana, the first two contain knowledge of sacrifices and methods of worship, while the last eight constitute the Chandogya Upanishad. Historically, it is one of the most ancient Upanishads and played a significant role in the emergence of the Vedanta Philosophy. It is believed that the Upanishad might be a collection of several independent texts that brought together in its current form to signify the ritual and spiritual significance of Saman chants. It is evident from the verses that the composers of the Upanishads, had specialized knowledge of Vedic rituals and excelled in the practice of singing the Samans. Hence they interpreted the knowledge of Brahman and Atman through the eyes of a Udgatri priest, who specialized in the knowledge of Samaveda. The Upanishad begins with the declaration that one should meditate upon Aum as the High Chant (Udgita). The Principal Upanishads (Hardcover) by Swami Sivananda There is no book in the whole world that is so thrilling, soul stirring and inspiring as the Upanishads. The philosophy taught by the Upanishads has been the source of solace for many both in east and the west. The Upanishads teach the philosophy of absolute unity.They contain the sublime truth of vedanta and practical hints and clues which throw much light on the pathway of self realisation. The author is a great Spiritual leader, a great spiritual teacher and also a great spiritual author of hundreds of books. One neeed to read his books to estimate his greatness. The Principal Upanishads by Swami Nikhilananda. The translation is both faithful and graceful, and the exposition is authentic, instructive, and attractive; they often shed new light on old concepts and bring out their significance in the perspective of modern Western thought."--S. J. Chatterjee, Philosophy East and West. This volume comprises the major Upanishads, regarded as the basis of the Vedanta philosophy and the outstanding contribution of Hindu thinkers to the philosophical thought of the world. A comprehensive glossary addresses the Sanskrit terms contained in this volume: prepared as a sort of Upanishadic dictionary, it provides a variety of meanings for each word, italicizing those especially pertinent to the Upanishadic texts. This abridged edition will be particularly useful for students in universities and theological seminaries where the Upanishads are studied in connection with comparative religion or world literature. Eight Upanishads, with the Commentary of Sankara, Vol. I (Hardcover). Of all the translations I've read - and that's quite a few - this translation best reflects the structure, rhythym, and order of meaning as it exists in the original Sanskrit. So many translations "help" the original by straightening out statements, which sometimes makes them easier to understand on first encountering them, but in the end, hides the complexity and subtlety woven into the original. Gambhirananda's language, while not as accessible as some, is the "must have" if you want to study these Upanishads seriously. Upanishads and the Bible by V. K. Subramanian The spiritual visions and philosophical arguments of the Upanishad and the Bible are explored in this vast study of the abstract concepts of God. God, the bountiful creator; God, the comforter; God, the enjoyer; God, the omnipotent; and God, the truth, are a few of the concepts examined. The Principal Upanishads: The Essential Philosophical Foundation of Hinduism (Sacred Wisdom) by David Frawley (Introduction), Alan Jacobs (Translator). Alan Jacobs has used free modern verse to convey the essential meaning and poetry of the original text, omitting Sanskrit words as much as possible and providing a clear, contemporary commentary. Origins of Indian Psychology (Paperback) by N. Ross Reat A brilliant study examining the development of the ancient theoretical psychological thought in India, starting from the pre-Vedic period and its maturation up to the early Buddhist period. It outlines the concept of monism in the Vedas, the Vedic concept of afterlife, the Vedic concept of the human being, in terms of individual identity, vital faculties and the mental organs. It should be of enormous interest to the students of religious as well as modern psychology.